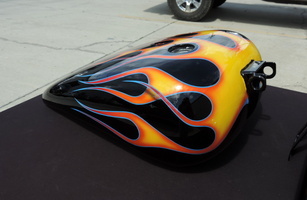 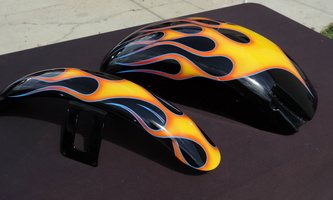 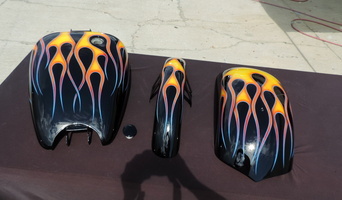 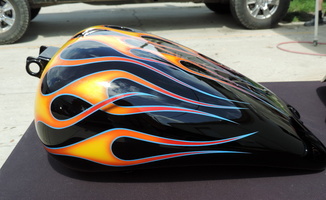 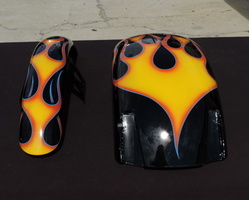 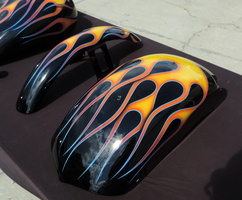 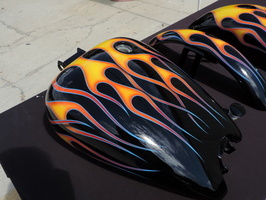 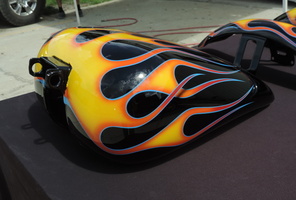 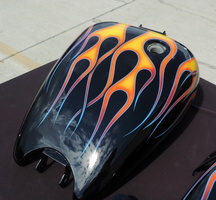 Classic flames painted in a fade from yellow to orange to red with a nice blue outline. 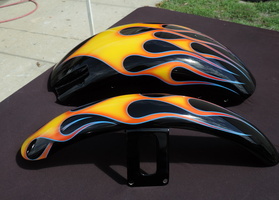 Some flames overlap and a drop shadow was painted on to give that separation effect. 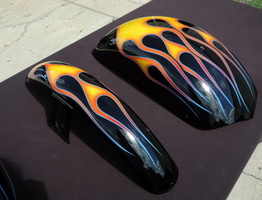 Job came out beautiful!